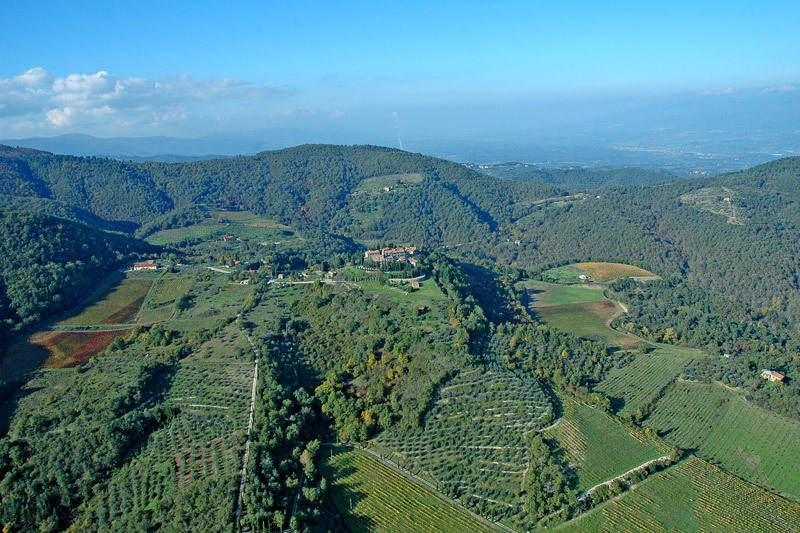 Located about 15 kilometres northeast of Siena, since the Middle Ages Gaiole in Chianti is in the spiritual and historical heart of the region that was so hard fought by Florence and Siena. 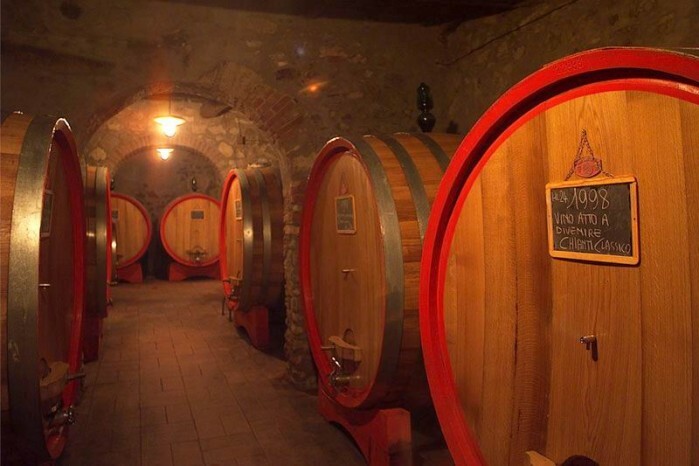 The history of Chianti goes back centuries to when the Lega del Chianti created this area. 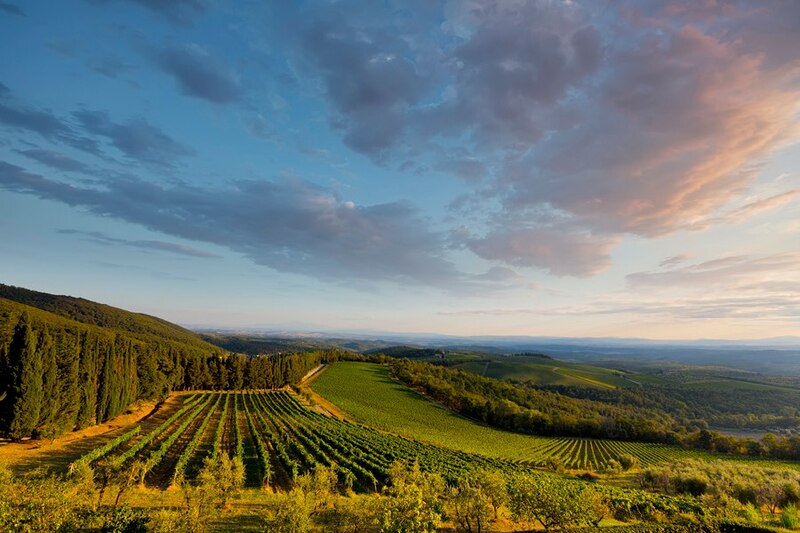 In 2008, Forbes’ experts named Gaiole in Chianti top choice in Europe’s most idyllic places to live. The area offers “mountains, vineyards, wineries, country inns and walking” as well as “amazing food”, while the village is “a sleepy and picturesque municipality”. In March, the surrounding region is invaded by bike lovers when the Strade Bianche (white dirt roads) professional bicycle race is held. 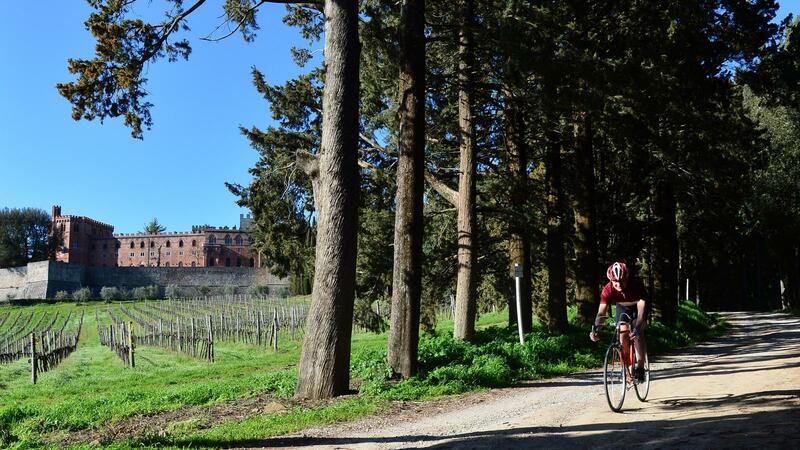 Again in October, the same roads are run by the vintage bicycle enthusiasts of the legendary L’Eroica, whereas for non-sport lovers Gaiole in Chianti in September holds its annual wine festival. 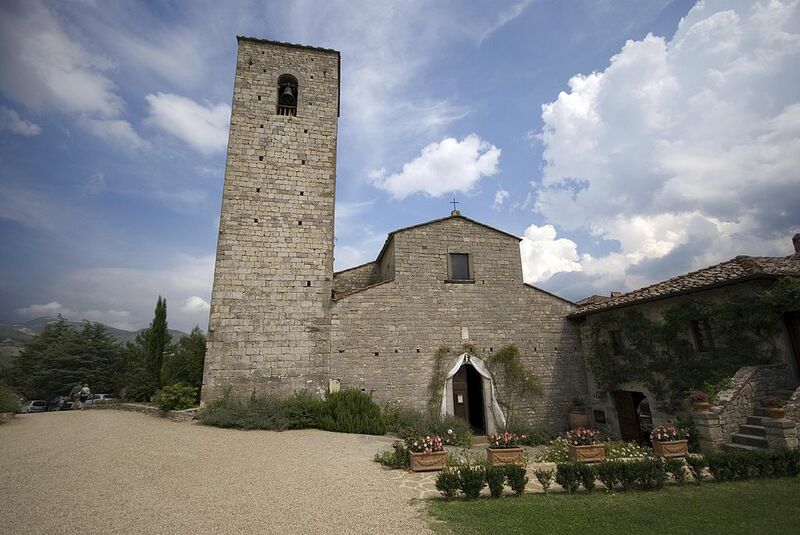 Gaiole in Chianti is surrounded by tiny medieval villages, most with their own castles, and dozens of Romanesque rural churches, known as pieve. Among these, certainly worth a visit, is the parish church of Santa Maria in Spaltenna. 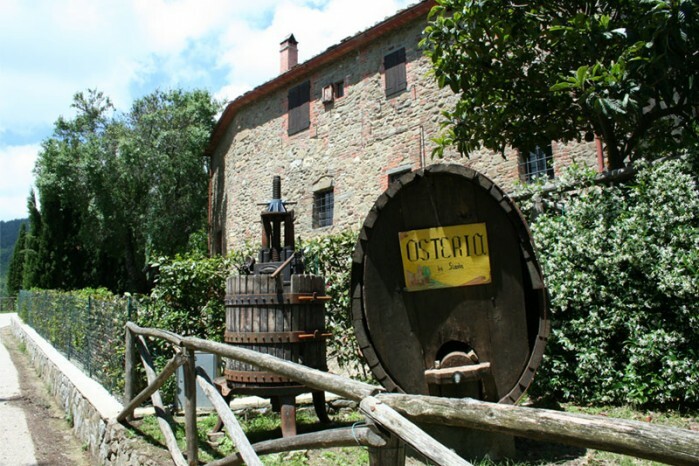 Nearby, on the hillside, is a tiny hamlet built around the beginning of the 11th century by the noble Conti Guidi family. Surrounded by olive groves, oak woods and endless vineyards, today this wine estate still detains the charm and glory of its past. Here it is possible to spend a relaxing vacation in one the holiday flats inside the lovely cool stone buildings, enjoying the peace and quiet around you. 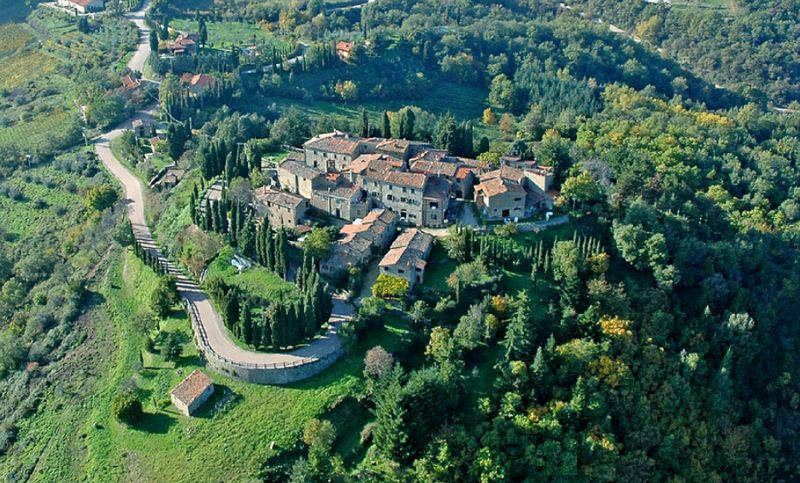 Also a perfect place for banquets and weddings, here guests can also enjoy a typically Tuscan meal at the estate’s restaurant as well as a wine tasting tour in its cellars. Questa voce è stata pubblicata in Accommodations in Tuscany, Castles in Tuscany, Tuscan lifestyle, Tuscan towns and cities, Tuscany e contrassegnata con Chianti, Chianti Classico, Conti Guidi, Forbes, Gaiole in Chianti, L’Eroica, Siena, Spaltenna, Strade Bianche, Super Tuscans, Tuscan Wine. Contrassegna il permalink.